Project Description: The Netarts Oceanside Sanitary District (NOSD) was faced with out-of-date wastewater treatment plant that was more than 30 years old and had no room for expansion. The plant was unable to consistently meet permit limits and many of the critical metallic components of the system were badly corroded and subject to failure. 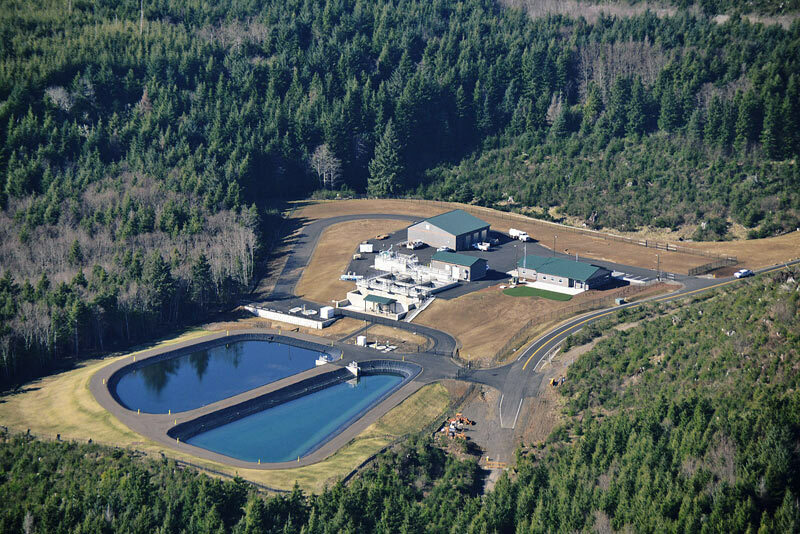 The NOSD entered into a Mutual Agreement and Order with the Oregon DEQ to improve the wastewater treatment plant. Due to site constraints including steep terrain and high property values expansion at the original treatment plant site was not feasible. Therefore, Westech assisted the District with the evaluations of alternative sites for the new wastewater plant. In addition, there was no property available that was large enough or geologically stable within the District. The preferred site location was both outside the boundaries of the district and zoned for timber production. Westech assisted the District through a complex land use process and a statewide goal exception was eventually granted. 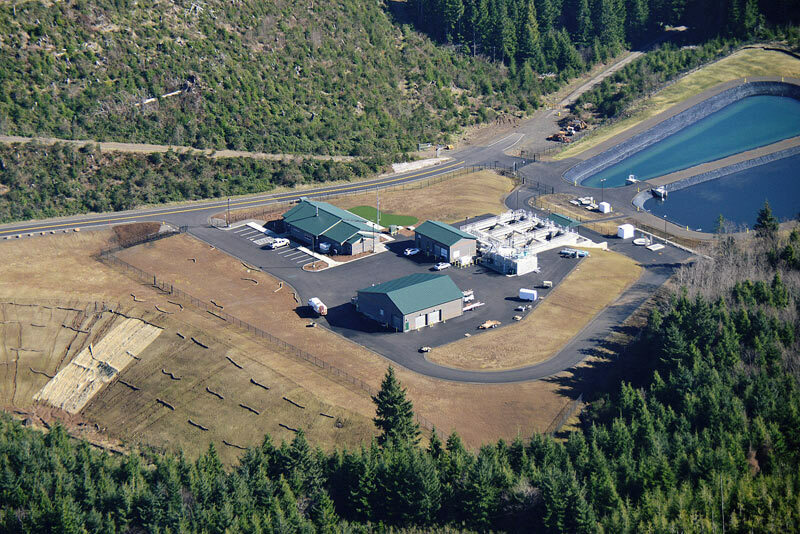 The selected treatment plant site was then purchased from the timber company. Westech also assisted the District with procurement of a funding package from the USDA Rural Development Service. The funding package included an eight million dollar grant as well as low interest loans. The improvement project is complex and much greater than simply a wastewater treatment plant. It included a new pump station at the existing treatment plant site to convey wastewater to the new treatment plant site. The pumping system was sized to provide 450 feet of total dynamic head. New pipelines were constructed to and from the existing site to convey raw and treated wastewater to the new plant and to the existing ocean outfall. 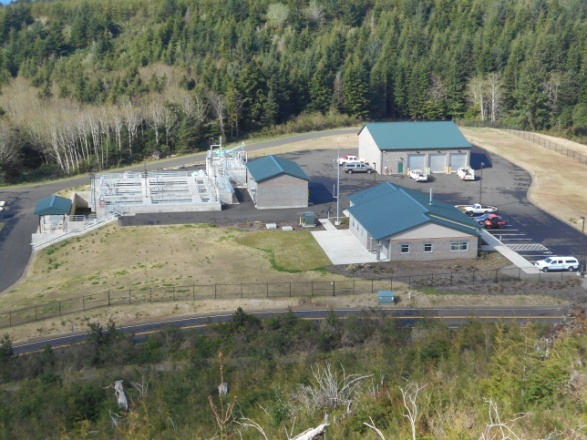 New utilities were constructed to the site including several thousand feet of electrical, phone, and water pipelines. A new 4,600 ft access roadway was constructed to the new plant site. 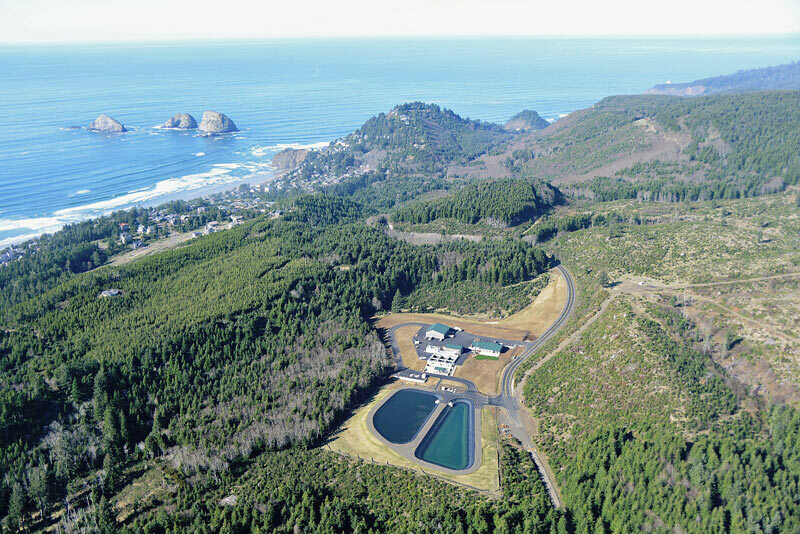 The wastewater treatment plant includes a new headworks, a three-basin sequencing batch reactor, UV disinfection system, two sludge storage lagoons, and associated structures that include a shop building, administration building, and a blower building. There were several environmental and cultural issues at the site. Extensive archaeological work was done including the discovery of shell middens from former Native American camps within the work area.